Emergency Prepardness is only available to members of Steven Horne's Member program. If you have a car, chances are that your car has a spare tire, a jack and a wrench to remove lug nuts. This is because sooner or later, most people will experience a flat tire while driving a car. Being prepared with the proper equipment to change a flat tire (and the knowledge of how to use it) means you won’t panic when you get a flat tire because you’ll be able to fix it and handle the situation properly. A flat tire is just one of the many situations where having the supplies and the know-how makes coping with a difficult situation a lot easier. 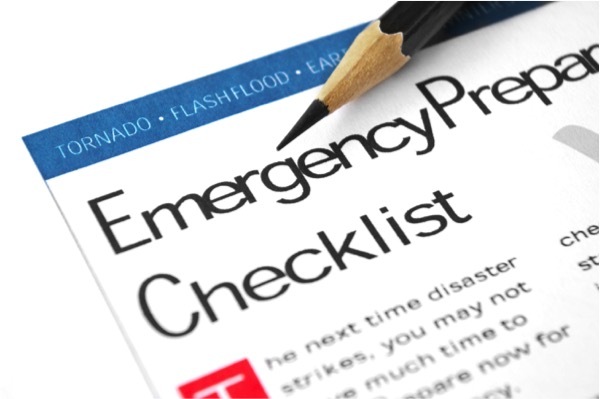 A wise person knows the value of being prepared, because they realize that during their lifetime, they will likely encounter a variety of these emergency situations. Some will be minor, like a flat tire or a short term power outage. Others could be more serious such as a natural disaster. Depending on where you live, you may one day find yourself having to deal with a natural disaster such as an earthquake, flood, fire, tornado or hurricane. If you’ve thought ahead and prepared for these problems, you’ll find it easier to deal with. We also face the threat of man-made disasters, such as wars, riots, economic problems or the spread of contagious diseases. But, whether it is natural or man-made, an emergency situation places extreme demands on medical and emergency personnel, who may not be able to “come to your rescue” for several days, or even longer. Knowing this, it’s realistic and smart to acquire both the supplies and the knowledge you need to handle an emergency for a least a few days. So, in this Sunshine Sharing Hour, we’ll talk about emergency preparedness, with emphasis on supplies you can store and use to take care of first aid and health problems during an emergency. Join us and get prepared, so you can gain the confidence to cope with a crisis situation. Remember that preparation reduces fear, so don’t be scared of potential problems, get prepared.